HCM CITY — Ascendas-Singbridge Group and its joint venture partner Saigon Bund Capital Partners yesterday (November 1) handed over the first office tower at the OneHub Saigon in District 9 to its first tenants, IKEA Purchasing & Logistics Southeast Asia and AAH Corporation. 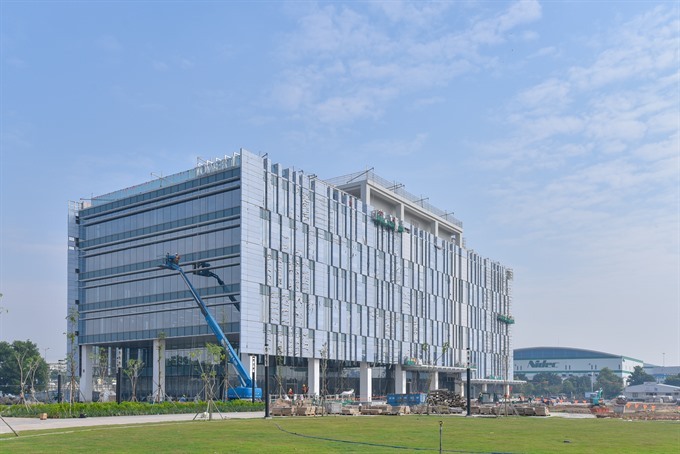 The six-storey tower, which has a total lettable area of 10,199sq.m, has attracted strong leasing interest from companies in the information technology, business process outsourcing, finance, and back office outsourcing sectors, according to the developers. Kim Lindell, regional manager, IKEA Purchasing & Logistics Southeast Asia, said: “IKEA wants to have a positive impact on people and the planet. Moving our office to a LEED (Leadership in Energy and Environmental Design) certified building at OneHub Saigon is aligned with this strategy.” LEED is a global green building certificate.